Simply hiring expensive data scientists isn’t enough. To create real business value with data scientists, top management must learn how to manage them effectively. Why data scientists differ from other types of analysts. 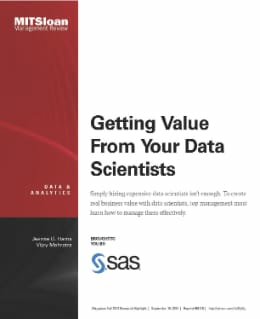 Seven steps to managing data scientists for business value. How analysts and data scientists view their work and their place in the organization.